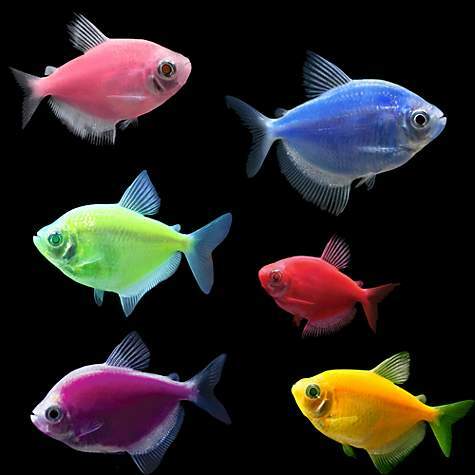 GloFish are available in a wide assortment of vibrant colors, and they also come in 4 different species. Most species of GloFish are tropical in origin, which means they will need a heater to stay healthy and active. 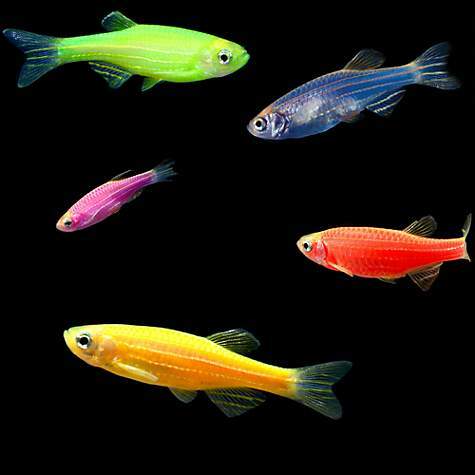 The only species of GloFish that you might be able to keep in an unheated aquarium is the GloFish Danio. Continue reading on to learn more about each type of GloFish, and their specific temperature requirements. Do GloFish Tetras Need a Heater? 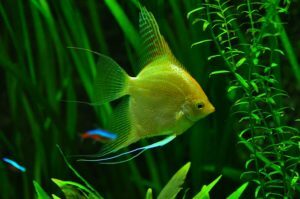 Do GloFish Danios Need a Heater? 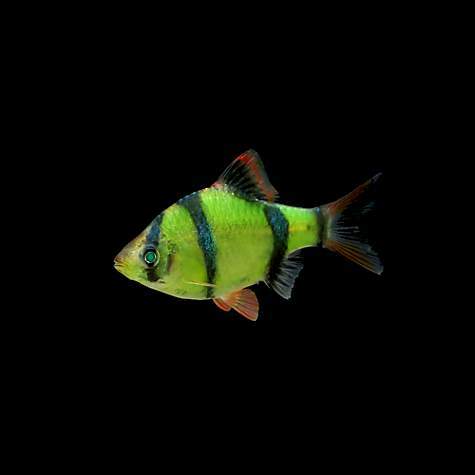 Do GloFish Tiger Barbs Need a Heater? Do GloFish Sharks Need a Heater? 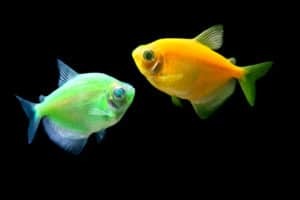 The GloFish Tetra (Order GloFish Online on Amazon.com) is actually a genetically modified Black Skirt Tetra. 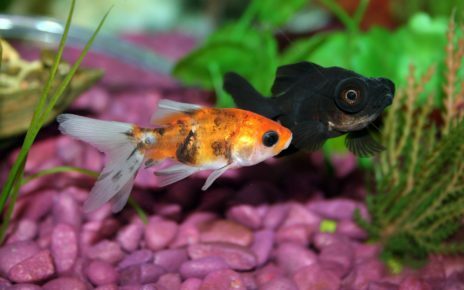 Black Skirt Tetras come from warm bodies of water like river basins in South America. That means GloFish Tetras will need to be kept in a heated aquarium in order to mimic their natural environment. 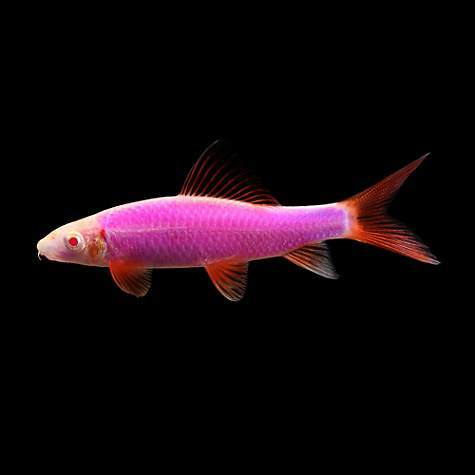 The optimal water temperature for a GloFish Tetra is 72 to 82 Degrees Fahrenheit (22 to 28 Celsius). GloFish Tetras also prefer slightly acidic water that has a pH of 6.0 to 7.5. 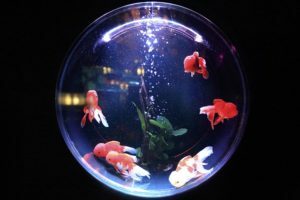 GloFish Tetras can be kept in a 10-gallon tank with a 50-Watt heater, but a 20-gallon tank with a 100-watt heater would be a much better option. The GloFish Danio (Order GloFish Online at Petco.com) is one of the few GloFish that can tolerate cooler temperatures. Zebra Danios are native to cool water streams located in the foothills of the Himalayas. That makes them one of the few fish you can safely keep without a heater. 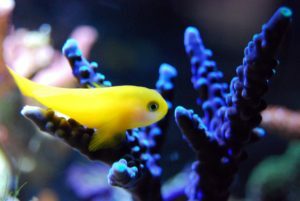 GloFish Danios need to be kept at a temperature of 64 to 75 Degrees Fahrenheit (18 to 24 Celsius). GloFish Danios also like to be kept in neutral water that has a pH of 6.5 to 7.5. 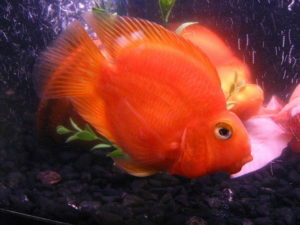 And since they are relatively small fish you can easily keep five of them in a 10-gallon aquarium with a 50 Watt heater. GloFish Danios do prefer to be kept in larger schools if it is at all possible, so you might want to keep them in a 20-gallon tank with a 100 Watt heater. 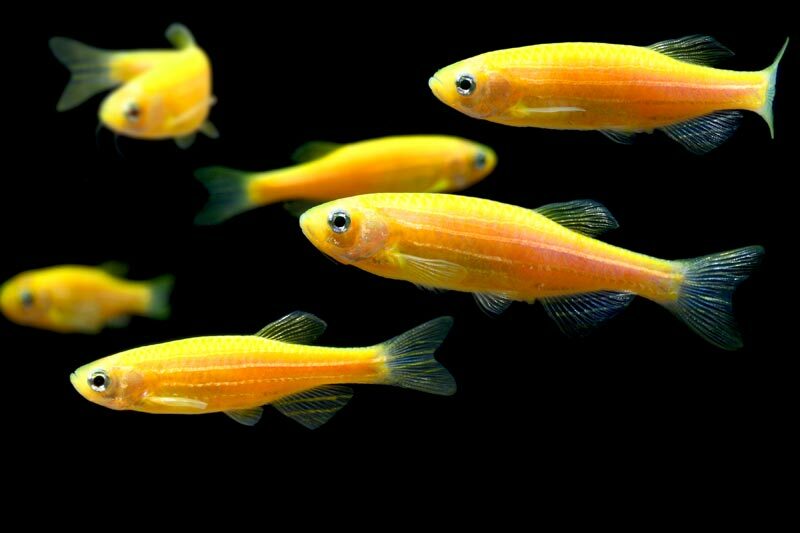 The GloFish Tiger Barb (Order GloFish Online on Amazon.com) is one of the newer more interesting GloFish Species on the market. 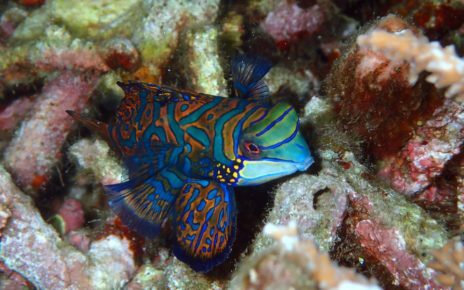 Tiger Barbs are semi-aggressive fish that live in warm tropical waters in Indonesia and Borneo. That means if you want to keep GloFish Tiger Barbs you will definitely need to get a heater. The optimal water temperature for a GloFish Tiger Barb is 74 to 79 Degrees Fahrenheit (23 to 26 Celsius). GloFish Tiger Barbs also prefer acidic water that has a pH of 6.0 to 7.0. 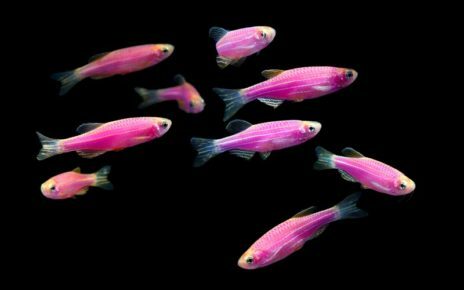 They also reach a maximum adult size of about three inches, which makes them a little larger than most other GloFish species. GloFish Tiger Barbs also need to be kept in schools of 5 to 6 fish in order to control their aggression, so you will need to keep them in at least a 30-gallon aquarium with a 150-watt heater. GloFish Sharks (Order GloFish Online at Petco.com) are actually Rainbow Sharks, which are warm water fish that are native to the Indochina region. They tend to inhabit river basins where they feed on algae and plankton on the soft sandy river bottom. In order to match the temperature of a GloFish Sharks native habitat, you will definitely need to heat your aquarium. The optimal water temperature for a GloFish Shark is 72 to 79 Degrees Fahrenheit (22 to 26 Celsius). GloFish Sharks also prefer neutral water with a pH of 6.5 to 7.5. A GloFish Shark will also grow to be about 6 inches, so if you plan on getting one you will need to keep them in a 30 to 50-gallon tank, with a 150-watt to 250-watt heater. 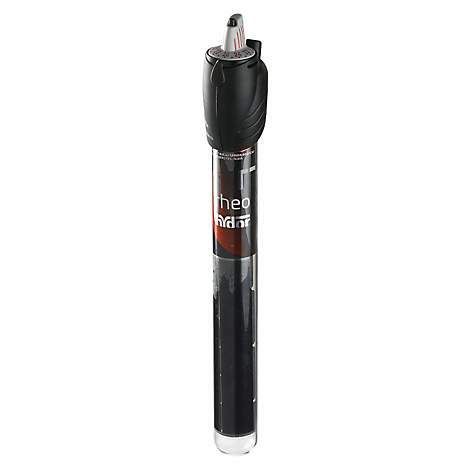 The Hydor THEO 25W (UL) Submersible Aquarium Heater, 25 Watts (Buy Online) is a great heater for a 2 to 7-gallon GloFish aquarium. This heater has an all-glass design with an adjustable thermostat, which is a really nice feature to have in such a small aquarium heater. You will also be able to fit this heater in a relatively small tank since it only has a height of 7 inches. 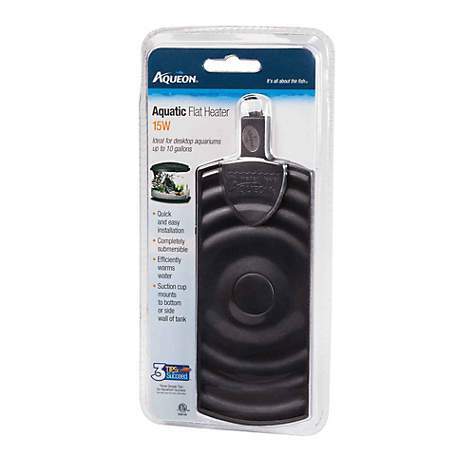 The Aqueon Aquatic Flat Heater, 15 Watts (Buy Online) is an excellent heater for a very small aquarium that holds up to 1 to 3 gallons. The flat low profile design means it won’t take up a lot of space in such a small tank, and it also looks a little more aesthetically pleasing. 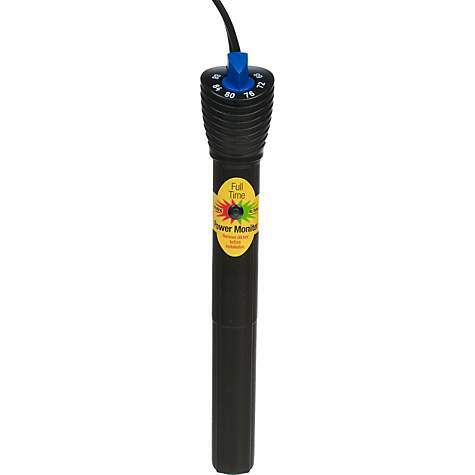 The Aqueon Pro 100 Submersible Aquarium Heater (Buy Online) is the perfect heater for a 20 Gallon aquarium. This heater is fully submersible, and it has an adjustable thermostat and a LED light indicator. This heater is also made of plastic, so it is shatterproof, and it also has an emergency shutoff to protect your aquarium from overheating. 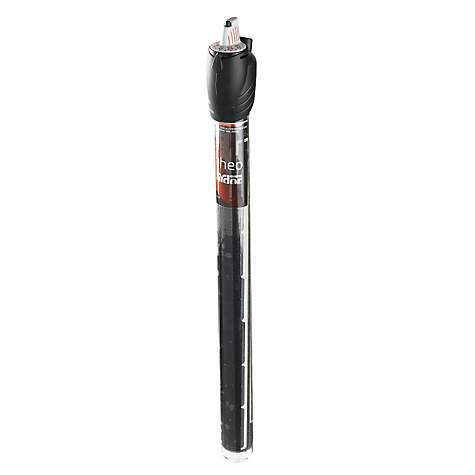 The Hydor THEO 150W (UL) Submersible Aquarium Heater, 150 Watts (Buy Online) is a high-quality all-glass heater that will work well in a 30 to 40-gallon aquarium. This heater is completely submersible, and it is one of the few heaters that can run dry for a short period without experiencing any damage. This heater is also extremely durable since it is one of the few shatterproof glass aquarium heaters available on the market. 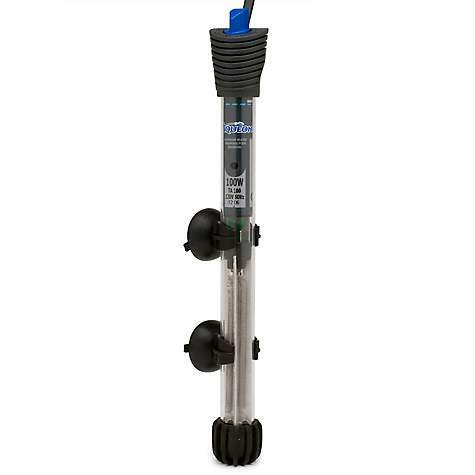 The Aqueon Pro 200 Submersible Aquarium Heater (Buy Online) is powerful enough to heat a 30 to 50-gallon aquarium. This heater has a thermostat that can be set to any temperature between 68 and 88 Degrees Fahrenheit. It also has a LED light that turns red when it is heating the tank, and then it will turn green when it reaches the desired temperature. 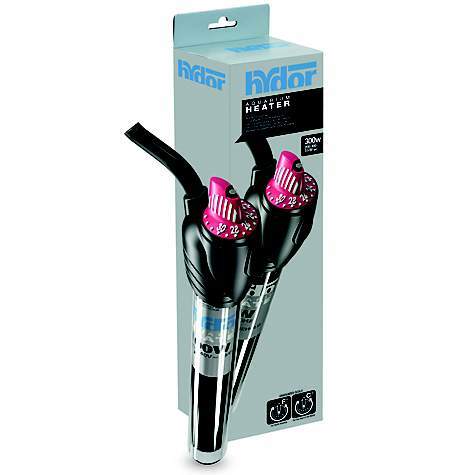 The Hydor THEO 300W (UL) Submersible Aquarium Heater, 300 Watts (Buy Online) is one of the best heaters you can get if you have a large aquarium. This heater will easily heat a 60 to 75-gallon aquarium. 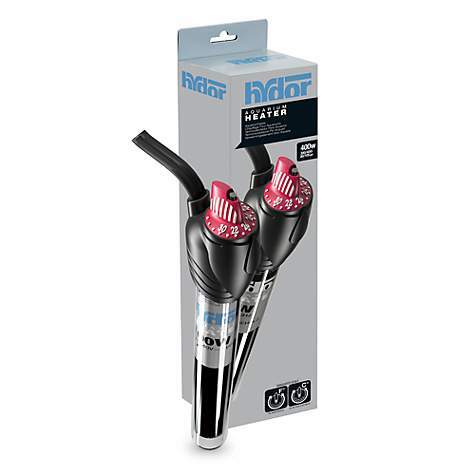 And if you have a larger 120-gallon tank you can use two of these heaters together to keep your aquarium at the proper temperature.